We shall continue talking about this family line started in the previous issue of the Guide and Bulletin, with a son of the Randolph Morgan. 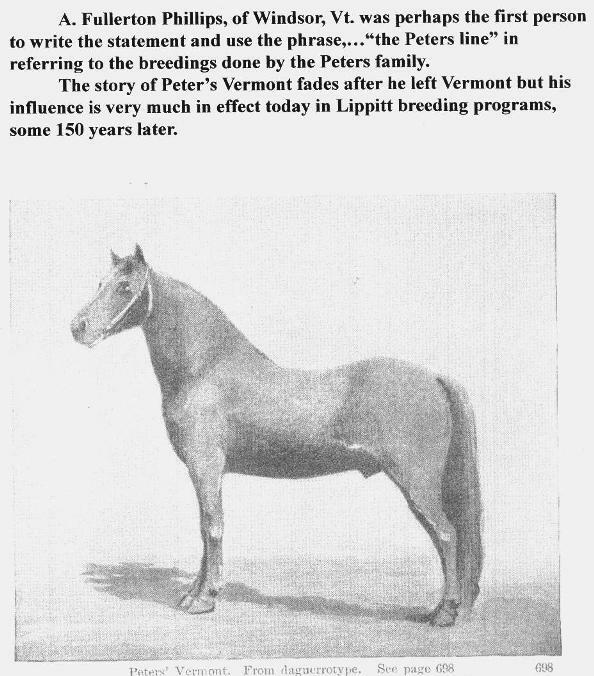 At the end of that article, I quoted Abijah Jennison in his glowing descripton of The Randolph Horse, Apparently Mr. Jennison, of Walden, Vt., brought at least one mare for breeding to him which resulted in the ..." bright, cherry bay colt", named as was the custom back then, the Jennison Colt, after his breeder. This mare is listed as 16 hands and 1300 lbs. She had a .."thin, rat-tail and bright clear hazel eyes." Despite her size and lack of interest in working, she apparently was very strong and frequently broke log chains when used in the woods for logging. 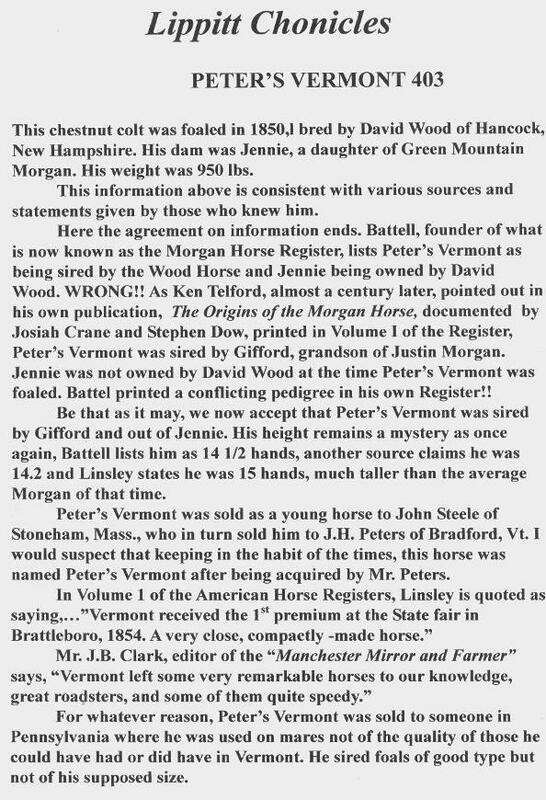 Volume I has at least three long paragraphs on the Jennison Colt written by people who owned or knew this horse. Mr. Jennison considered this colt to be perfect in his eyes, describes his ears as",,,had the same little, short, sharp, quick ear of the little Morgan." (Justin I presume) This was a vast improvement over his dams ears that were described as. "...long and lapped some ." The Jennison Colt inherited his trotting speed from his dam and we can only guess that he may have been taken to local fairs for the friendly wager on the fastest horse there that day. 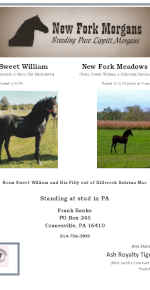 Going back to the financial status or lack thereof, of Mr. Jennison, at one point in time, Jennison traded a pound of tea for a breeding to his Jennison Colt to a mare owned by Mr. James Heath, also of Walden, Vt. This story may seem unimportant to you as the reader but the result of this breeding will be the subject of the next Chronicle. 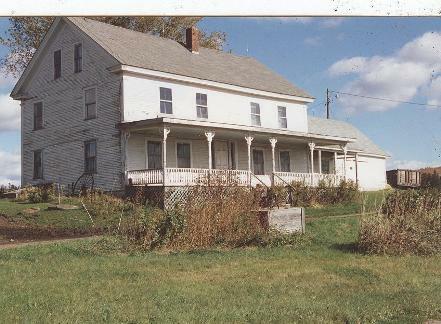 I did not find pictures of the Jennison Colt but am including one of the Jennison property as seen today in Walden, Vt. It is said the house was moved from its original location to its present location, All the original barns and sheds are gone and been replaced, with a new dairy barn.